Height at which you want the bottom of the headboard to be. 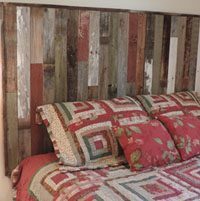 All Coat Racks, Towel Racks, Paneling orders and Headboards include natural tiles (barnwood gray/brown). 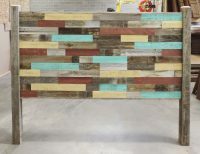 In addition you may choose painted slats (accent colors) to be included. 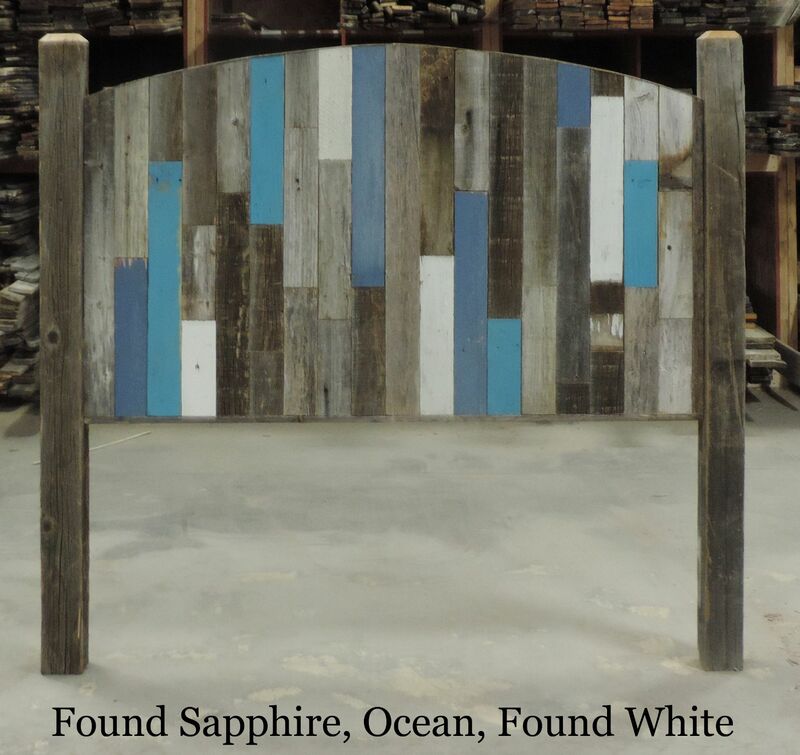 Our arched headboard now comes in a brand new Allbarnwood style! Introducing the Cottage Style Arched Headboard made with 3″ wide vertical slats. 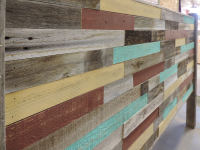 The reclaimed barnwood slats come in your choice of a variety of rustic colors. 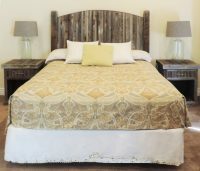 You are also given an “off the ground” option so that you can choose how far off the ground you want your headboard to sit. 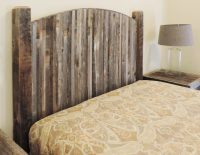 This Arched Full Size head board with posts will attach to your existing bed frame (hardware included). 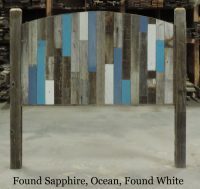 Total dimensions (including posts) are 56″ Wide by 51.5″-60.5″ Tall (depending on “Off the ground” option choice). 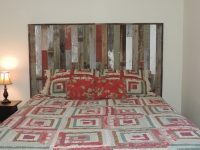 Headboard portion is 36″ tall at highest point and 49″ wide. 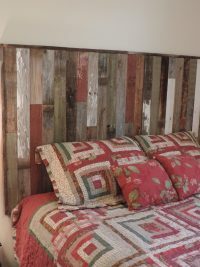 Bed is fully assembled to reclaimed 4 X 4 posts with screws and then carefully disassembled so it can ship via UPS ground in two separate boxes (Box 1: headboard halves…Box 2: Posts, and two-by-two connectors). Re-assembly is fairly simple–just put together & reinsert screws. Tools needed: screwdriver or drill that will accept included torx bits. To determine “Off the Ground” measurement, measure from the floor to the top of your mattress…ideally, you want the headboard to start 3″-6″ below that (so you don’ keep losing your remote or ipad down the crack). So, if your mattress is 24″ off the ground, you could select 21″ or 18″ as your “Off the Ground”?